Why Does The Dep't of Agriculture Need Submachine Guns? Police State Ongoing Prep? Why Does The Dep’t of Agriculture Need Submachine Guns? 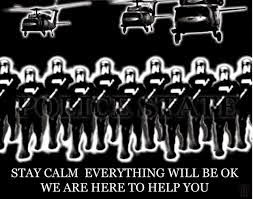 Police State Ongoing Prep? The Department of Agriculture is soliciting an order for submachine guns, which leads to the question of why? What on earth could the DoA need submachine guns for? The solicitation is dated May 7, 2014 and is the latest in a long list of feral agencies, with no reason to be armed in this manner, are rushing to arm themselves to the teeth. Add this to the constant purchase of millions of rounds of ammunition by the DHS, on each order, and other federal agencies and we have to ask ourselves, who, within the US is our government planning to go to war with?